There will be those of you, including the folks at UK Athletics who think that winning two medals, gold and silver in the 4×100 metres relay last night somehow absolves the British team (and thus administration) from a largely poor show in the IAAF World Championships 2017. Yes, in addition to Mo Farah’s gold and silver, there have also been four fourth places, a position once memorably described by Eamonn Coghlan as, ‘the loneliest place in athletics’. But let’s not dwell on that. Back in 1984, as Daley Thompson was completing his second Olympic decathlon winning performance in Los Angeles, I passed an Italian colleague on the press benches, who motioned to the infield, and intoned sagely, “This is heavy gold”. Steve Ovett, of course did not agree, his distaste for Thompson giving rise to one of the greatest putdowns in Olympic history – ‘The decathlon – nine Mickey Mouse events and a slow 1500 metres’. In a way, the multi-events, the decathlon and heptathlon rank alongside the relays, in that they are curiosities. The multi-events are largely impenetrable, since the scoring system has to be explained. At least the relays are obvious. However, I suspect that if relays had not been long part of the athletics furniture, some marketing person would invent them, for entertainment value. While I concede the point that they can be entertaining, especially when the Yanks drop the baton, I would question what relays are doing, either at the Olympic Games or the World Championships. Athletics is an individual sport; one man or woman (more or less) against the rest, and the best one wins. There should be no place for team sports! The argument for football, for example in the Olympic Games was that it gave an opportunity to third world country teams to make an appearance on the world stage. That same argument could be used for such as the Bahamian women’s relay squads who won world and Olympic medals at the turn of the century. But supposed third world countries are more than making their mark in international football competition nowadays; and the Bahamians have more and more individuals winning world and Olympic medals by and for themselves. The French sports daily L’Equipe, in almost every other respect a superlative publication, has an irksome habit of referring to an individual member of a medal winning squad as a World/Olympic champion; even if they’re just in there making up the numbers. Twenty years ago, when Mark Lewis-Francis emerged as an elite sprint hopeful – he was heralded by no less an authority than the then reigning champion, Donovan Bailey, as a future Olympic winner. Well, yes, he did win an Olympic gold medal, as part of the British sprint relay squad in Athens 2004. But an Olympic champion, never! This is not a personal attack on Mark Lewis-Francis, far from it, he’s a nice enough guy, and he comes from my own backyard. But, let’s face it, he was one of the great unrealised talents in British sprint history. And he will know that. As for the guys who won the sprint relay last night, let’s wait and see. The corollary to all this, of course, is that if one member of a squad tests positive for drugs, everyone loses their medal. It happened to Usain Bolt when Nesta Carter retrospectively tested positive last year for a stored sample from Beijing 2008. How does that make sense? It doesn’t. And neither does the relay. And so to the far more serious world of individual sprinting; you may find this hard to believe, but prior to the Olympic Games in Beijing 2008, no Jamaican, man or woman had even won an Olympic sprint title. Herb McKenley came close in 1952, talking silver, as did Don Quarrie in 1976, when he went on to win the 200 metres. Since then, until this last week, only one person had intervened in the Jamaican gold medal march to the Olympic and world titles. Beijing and onwards, Usain Bolt (and Yohan Blake in 2011) swept the board for the men, and Shelley-Ann Fraser-Pryce matched them medal for medal (only interrupted by Carmelita Jeter in 2011) until Elaine Thompson took over in Rio. That came to abrupt halt here in London, when Justin Gatlin took the men’s 100 metres title, and Tori Bowie the women’s, adding to a tremendous tradition of US sprinting – 16 Olympic men’s winners in 28 Olympic Games; nine out of 20 for the women, since that event wasn’t introduced until 1928. It’s a similar story in the history of these World Championships – nine out of 16 men’s titles for the USA; eight out of 16 for the US women. The 200 metres eluded both Jamaicans and Americans this week.  It was Ramil Guliyev of Turkey who took the men’s title, and Dafne Schippers of the Netherlands who defended the title she won in Beijing 2015. Another abrupt end came last night, to Mo Farah’s gold medal cavalcade. Like Bolt earlier this week, all good things come to an end. And Bolt’s relay injury last night made for an even more unfitting finale to an exemplary career. But Farah did win silver in the 5000 metres; and unlike Bolt, he is going to continue on the road, principally in the marathon. After his false start in the London Marathon 2014, it is going to be interesting to see if he can translate his superlative track form of the last eight years to the road. Despite the money that will be thrown at him, I suspect that a couple more runs like London will see him off. So, it is a little too early yet for obituaries on Farah’s career. But it will soon be time for post-mortems on Britain’s collective performance here this week. 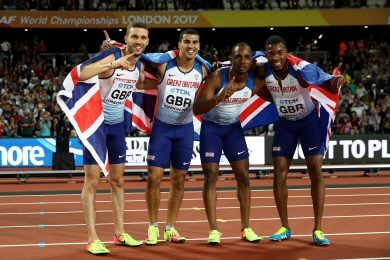 It’s all very well to applaud gold for Britain’s men’s 4 x 100 metres squad and silver for the women. As far as I’m concerned, Farah’s gold and silver remain and are likely to remain Britain’s only worthwhile medals in London 2017. Mr. Butcher writes well and challenges the mind. I agree with his main point– that a an individual event is intrinsically “worth more” than a Relay medal. But, in the end, his assertion that Relays — being a team event — have no place in the individual world of Athletics is absurd. If team-work has no place in Athletics, then, logically, neither do any running events beyond 100 Meters. If the point is to identify the fastest athlete, then the sport should be pared down to the original Greek Olympic ideal of a single sprint. (Plus the basic Field events of Long Jump, Discus, Shot Put and Javelin.) If team-work and a sense of pace (when each relay runner should take-off) have no place in Mr. Butcher’s world, then why, for example, admit Hurdles– which serve only to slow down sprinters? Why should athletes run head-to-head, instead of individually against the clock? And, while we are going down this rabbit hole, why allow Team uniforms? If the concept of Team has no place in Mr. Butcher’s ideal track meet, then why admit of teams in the first place? Have all the runners wear white (or, nothing), just not a team kit. Better still, ask the sprinters themselves… who, to a man (and woman) will acknowledge that their greatest thrill as an athlete is running as part of a team. That the whole is greater than the sum of its parts. That’s why Relays belong in Athletics. Good read,. Pat, but You need to correct the “Micky Mouse ” put down against Daley, you attribute to Steve Ovett….The comment was actually made by Ian Stewart in a direct personal response to Daley telling him (Stewart) all he had to do was put one foot in front of the other, left, right, left right!, and it was actually made in 1976 in Montreal. …Ian told me about it back then. (by the way I was with ian last night at the Holiday Inn and later at the other Holiday Inn Express, my wife and I sat around with Tim Hutchings, Wendy Sly, Tony Campbell and Miguel Mostaza for a quick drink that in the end lasted until 2am! ………Amazing what people say when they’ve had a good few drinks! …But not to be repeated publicly!